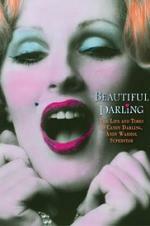 Buy or Rent Beautiful Darling (2010) Movie DVD & BluRay Online! Movie Plot: Candy Darling was a fixture in the New York Off-Broadway scene in the 60s, in Warhol films such as Women in Revolt and Flesh, and became a prominent personality in Warhol’s circles, influencing such noted contemporary artists as Madonna, David Bowie and Lou Reed. This documentary will use a series of interviews, archival footage, and images from Candy’s home in Massapequa, NY. Archival footage includes rare 25 year old interviews conducted by Jeremiah Newton with members of Warhol’s Factory and Tennessee Williams. The film features interviews with colleagues, contemporaries and friends of Candy, including John Waters, Peter Beard, Holly Woodlawn, Bob Colacello, Geraldine Smith, Pat Hackett and Ron Delsener.